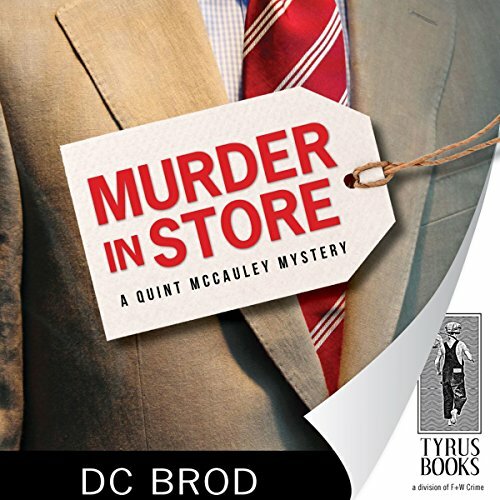 Preston Hauser, owner of a famous department store, asks his head of security, Quint McCauley, to investigate some threatening letters he has received. No sooner does Quint take on the job, than Preston is poisoned by one of his own vitamin pills. With Quint looking on. Suspicion falls on Hauser’s young wife, Diana, but Quint quickly learns she’s not the only one who might benefit from the millionaire’s death. ©1991 D.C. Brod (P)2012 Audible, Inc. I love to read this type of Detective story, the mystery is left in front of the reader and the drama is pulled in just enough so it's not annoying. Listening to this I must say Marc Vietor does my favorite cynical detective without sounding whiny and his narration of women doesn't make you visualize a man in drag. He's a top narrator and a mystery needs his voice. The story is simple but classic.